place, but he got a good song out of it. A writer of songs about freedom and joy. As the kind of a singer most folks could enjoy. It was obvious something was missing. Play me a rock'n'roll song; don't play me songs about freedom and joy. Play me a rock'n'roll song; or don't play me no song at all. And things that I've come to believe in. Some track star yelled thank God he's leaving. Play me a rock'n'roll song; don't give me music I don't want to hear. Paul Valdemar Horsdal, CM (born 1 September 1945 in Ottawa, Ontario, commonly known as Valdy, is a Canadian folk musician whose solo career began in the early 1970s. He is known for "Rock and Roll Song", his first mainstream single released in mid-1972 on Haida/A&M. He was a member of the London Town Criers during the 1960s and subsequently joined Montreal band The Prodigal Sons. Prior to beginning his solo career, he was based in Victoria working with various artists, including Blake Emmons. 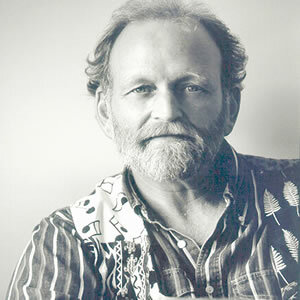 Valdy is the winner of two Juno Awards for Folk Singer of the Year and Folk Entertainer of the Year, and has received seven additional Juno nominations. His fourteen albums have achieved sales of nearly half a million copies, four of which are certified gold. Of Canadian folk artists in the mid-1970s, only Gordon Lightfoot was more popular. His music was featured in the Steve McQueen film The Getaway. Valdy also appeared on the CBC TV show The Beachcombers as the environmental activist "Halibut" Stu. He also managed to secure a part in the reunion production of The New Beachcombers performing a song he wrote, "It's The Water," as part of a jug band. Valdy lives on Saltspring Island in British Columbia with his wife Kathleen. His daughter, Chelah Horsdal, is an actress.